Have you ever checked in to see if you are on track for retirement? I know this can feel like a daunting task, but preparing yourself for retirement can help you save more and avoid common retirement mistakes. For some, retirement means quitting their job after 40+ years, but it can also mean working towards early retirement, in your 20’s, 30’s, 40’s, and so on. 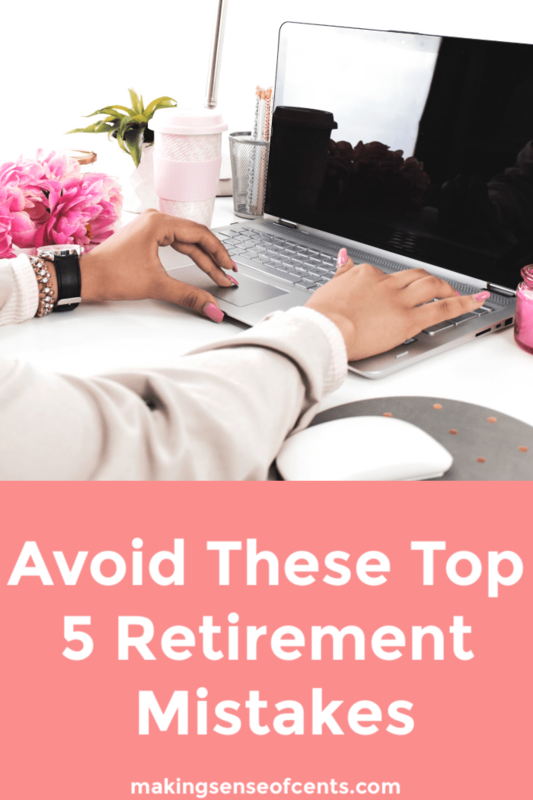 I know that’s not for the “average” American, but by avoiding some of the retirement mistakes I will talk about today, you can start preparing for retirement at any age. The thing about retirement is that sadly many out there are not saving enough money. In fact, according to Zacks Investment Research, 72% do not save enough for retirement each month. Also, according to surveys done by Bankrate, 20% of people aren’t saving any money, and 61% of Americans have no idea what they will need to save for retirement.